If Tom Cruise and co. chasing each other around the skies and volleyball court isn't enough to entice you to get your wings in the aerobatic flying world, Red Bull's exploits in recent times have certainly added even more desire and glamour to the sport than the shiny aviators of the 90s classic. 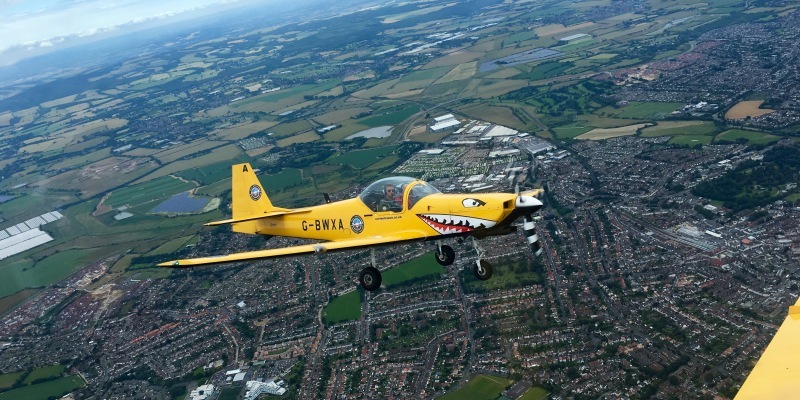 Pulling an incredible range of stunts in one of the world's most agile planes - the T67 Firefly, you're in for the most stomach-churningly magnificent experience available on the market. Loop the loop, barrel rolls, cuban 8... finished off with a spot of dog fighting where it's a fight to stay in the air. 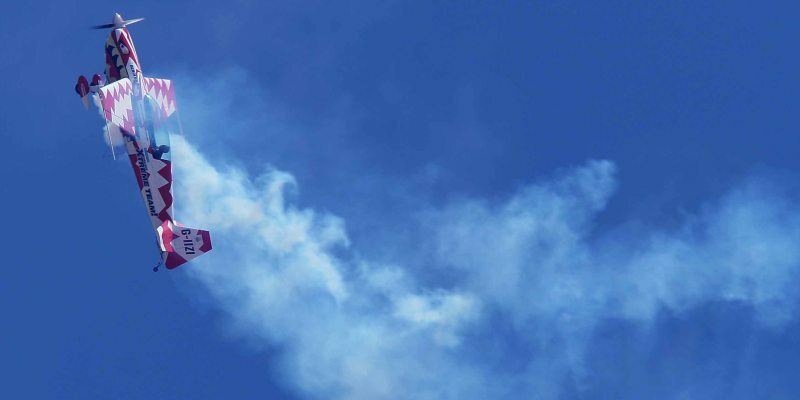 Take our breath away...Your aerobatic flying day will begin with a theory and safety brief, where your instructors for the day will discuss the controls, procedures and protocols - before donning your flying suit, choosing your name badge and hitting Goodwood Airfield ready for take off! Starting with a formation take-off, the ex-RAF pilot sat behind each of you, you'll take off from the ground just feet apart - before spinning off and performing a whole range of incredibly nimble manoeuvres, tricks and flicks - in the boundaryless brilliance of the open sky! After a stomach-churning session at the controls, you'll finish the flying off with a dog fight - chasing your flying partner through the skies in a scene right out of Top Gun. Lock on your sights, aim... fire! This incredible experience will come in for a safe landing and finish with a certificate debrief. You can purchase a video of your flight for around £50. 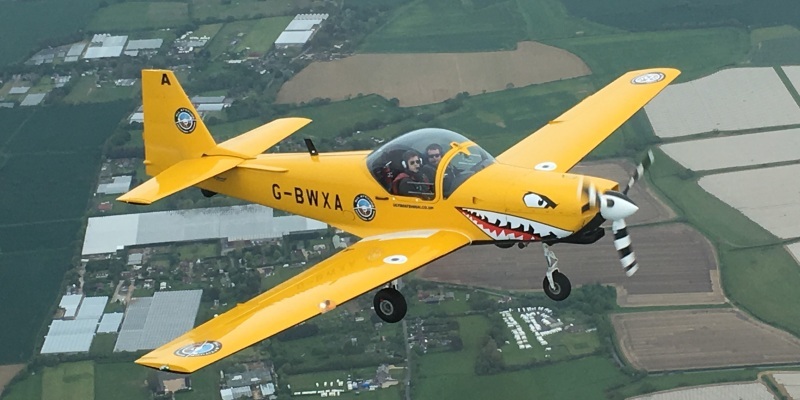 This Top Gun Aerobatic Flying day is available from March to November. This ticket is for two people to fly on the weekdays Tuesday to Friday. 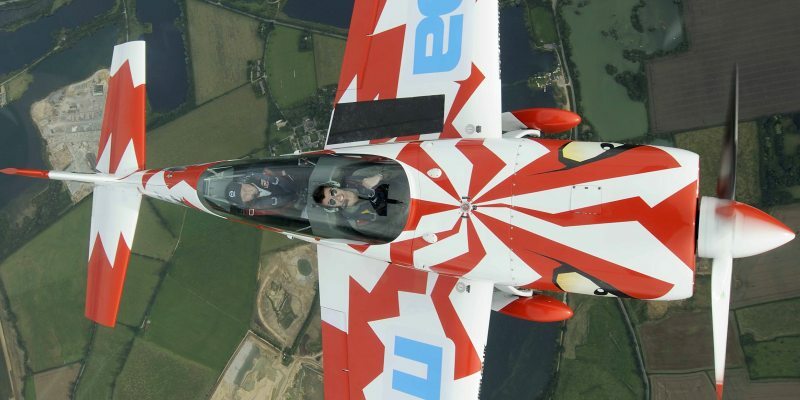 The Top Gun Aerobatic Flying Experience will involve 40 minutes of air time each. Expect to be at the centre for around 3-4 hours in total. Participants: The Aerobatic Flying - The Top Gun Experience for Two (Weekdays) is for 2 participants. 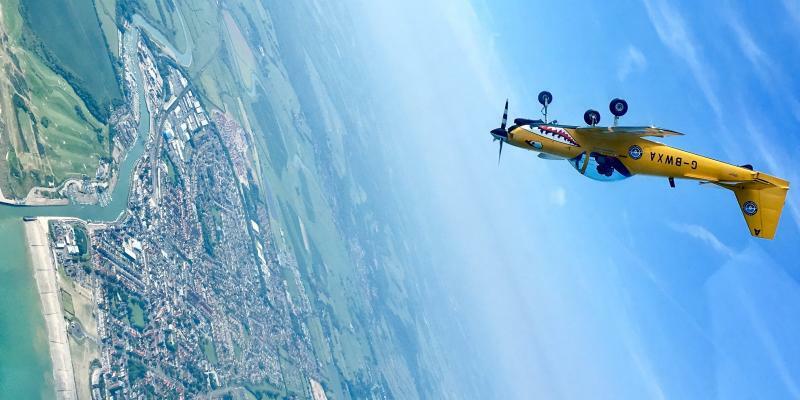 Aerobatic flyers can bring one spectator each to enjoy a spectacular show of aerial aerobics. There are many on site facilities including a restaurant - where spectators will be well looked after. It is advisable to let them do the driving home after the physical exertion of G force and excitement of this high octane experience. Flying suits - complete with your choice of Top Gun name badge - are provided on the day. You should wear comfortable, casual clothes - avoid skirts. Flat soled shoes like trainers are ideal. Aerobatic flying is weather dependent. Poor visibility and challenging weather conditions will affect whether your experience will go ahead or will need to be rescheduled.